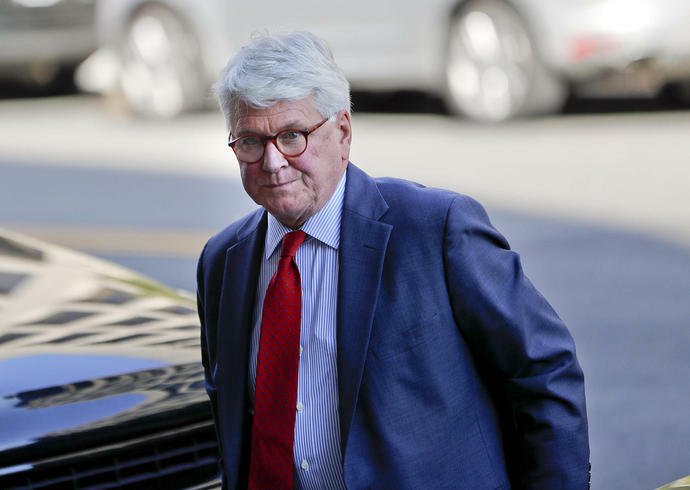 WASHINGTON (AP) - Former Obama White House counsel Greg Craig was indicted Thursday on charges of making false statements and concealing information in a federal foreign lobbying investigation that intersected with the Russia probe. Craig is a prominent Washington attorney and was the first White House counsel to former President Barack Obama. In private practice, his clients have included former North Carolina Sen. John Edwards and James Cartwright, the former vice chairman of the Joint Chiefs of Staff, who was charged in a leaks investigation. He also led President Bill Clinton's White House legal team during his impeachment proceedings and defended Clinton during his Senate trial. The document says Craig did not want to register under FARA because doing so could keep him or others at his law firm from getting government positions and because the filing would require him to disclose the millions paid from a "private, wealthy Ukrainian." The disclosures also would have undermined the authority of the supposedly independent report.